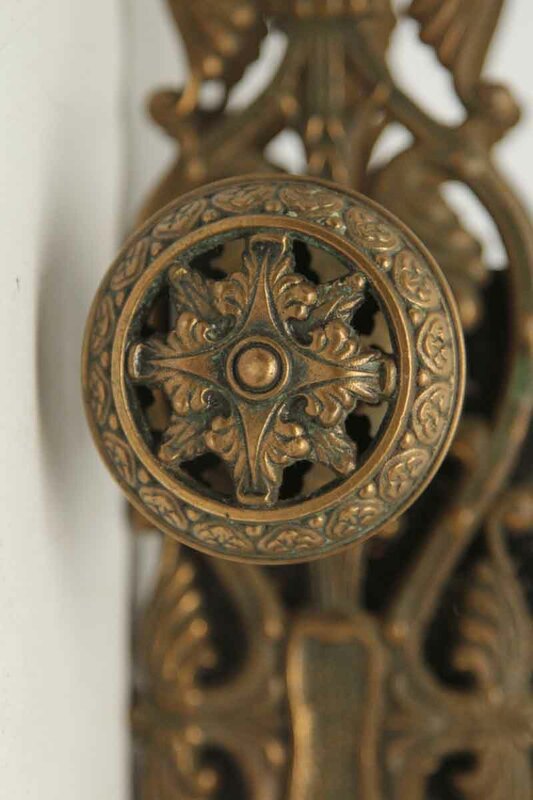 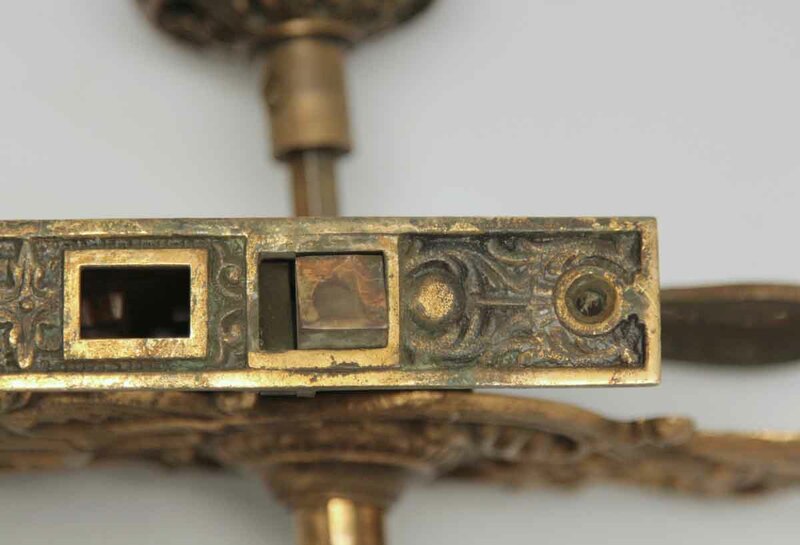 This bronze knob is from the Italian Renaissance style manufactured by Hopkins & Dickinson in the 1900s. 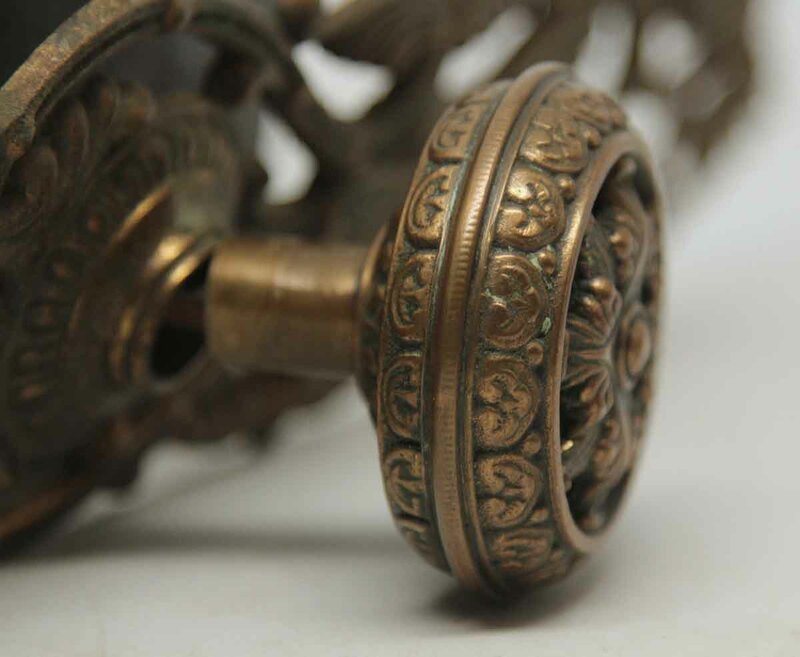 It has a pierced construction and a very intricate detailed design. 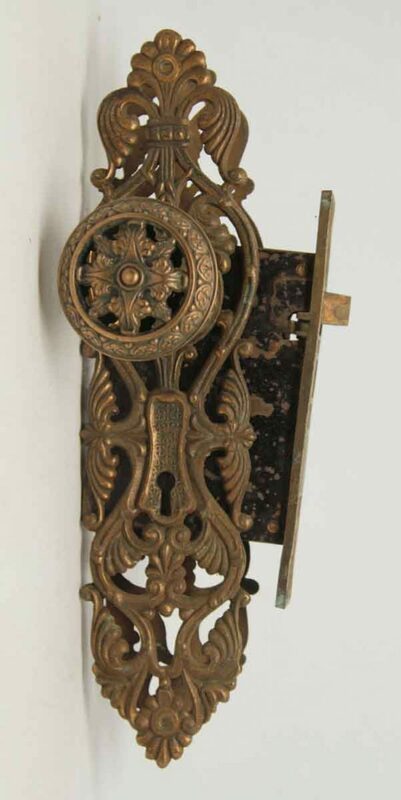 Set includes a pair of doorknobs belonging to the H-407 group, a pair of back plates and a mortise lock. 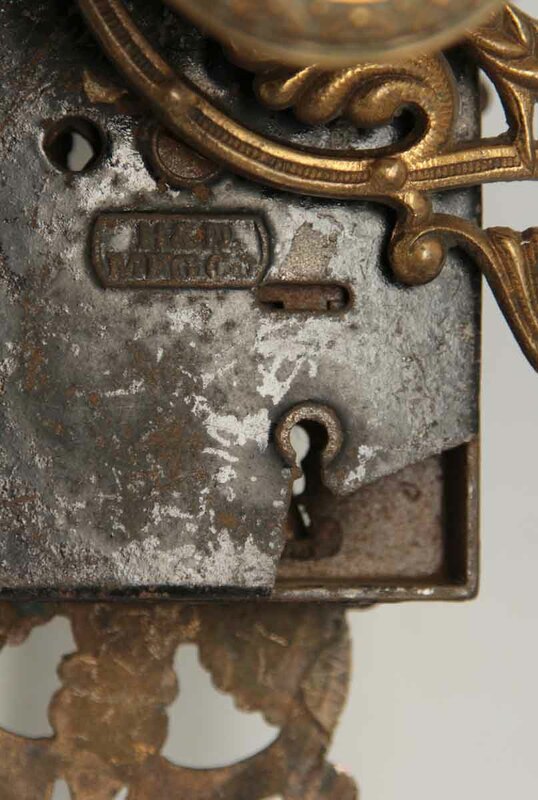 If you do not need the lock, please request price without it.